Who else don’t know the term YouTube! if the person is really alive on the internet then he definitely knows about it. People usually find out about youtube because of watching videos, but nowadays things are changed. People are more curious about making money from youtube rather than just only using it for watching videos and having fun. And that is totally fair, why to leave any opportunity, from any platform, especially while they are asking for your effort and not even asking for a single penny. 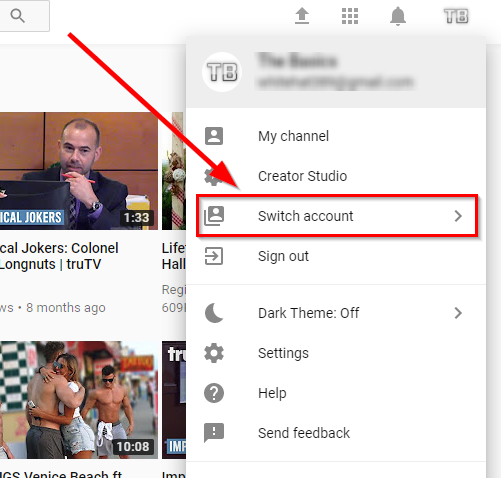 Because making youtube channel doesn’t need any special or premium signup process, all you need is your google account by which you can log-in to youtube and create a channel. Usually, we use single youtube account using a Youtube channel. But sometimes you need more than one account on youtube such as your personal channel, company channel etc. Making separate google account to make youtube channels is such a frustrating task and to overcome this or to get access fastly on all your youtube channels using a single account you need to create youtube channel with the same email. Login and open your YouTube account by using that email address in which you want to make multiple youtube channel. Click on the profile icon from the top right corner and choose Settings, Or use this link to go to that page. The link will take you to the Account Settings page, Under the Additional features you will see link for see all my channels or create a new channel. Click that link. On next page click the box of Create a new channel. Now Enter the name of Channel you want, in Brand Account name box and hit Create. And you are done. Your Youtube account has been made. After done following the above steps you will be having your new youtube channel which you can access anytime using the same email. 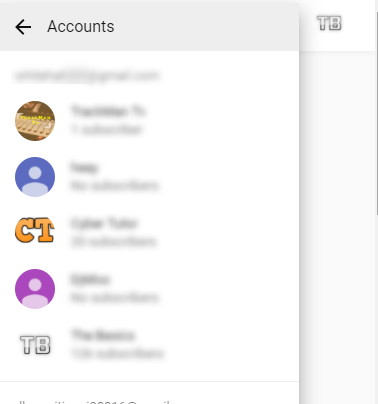 You can even have more than 2 youtube channels with the same email. Switching between your multiple youtube channel is easy. 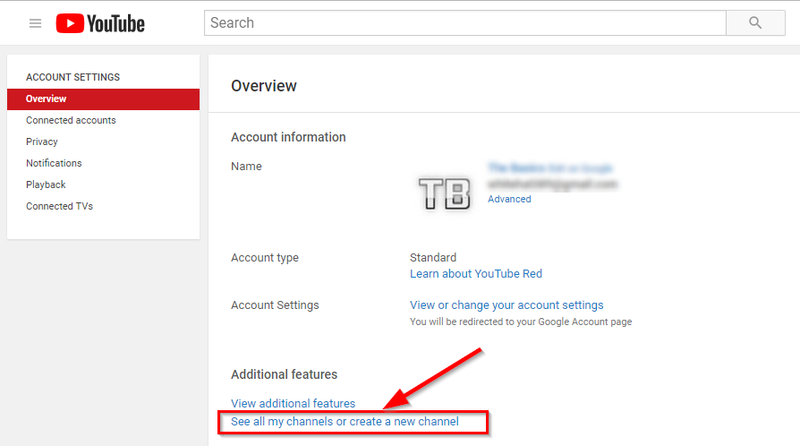 If you don’t know how to switch between your youtube channel then follow the steps below. 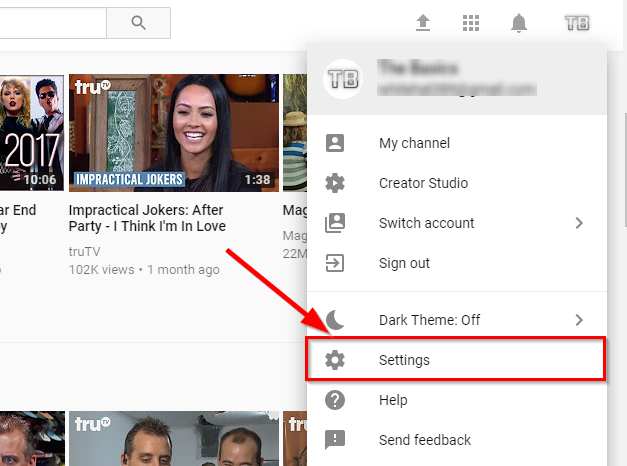 Here are the steps to switch another youtube channel from the current one. Open youtube account, click on your profile icon from the top right corner. After clicking on the profile icon, now click on the option says Switch account. It will show you the complete list of all you channels. Select any one in which you wanted to switch. Is there any Time limit to make New Channel Using the same email? You can use your same email on youtube to make mutiple account without having any time limit. You can even start making mutiple youtube channel using same email right after making a new youtube channel. Note: All the steps given above along with respective images can only be done using main youtube channel, or the first youtube channel which you made using a single email. After switching to Brand account or other channel you may find the different option while clicking on the profile icon.